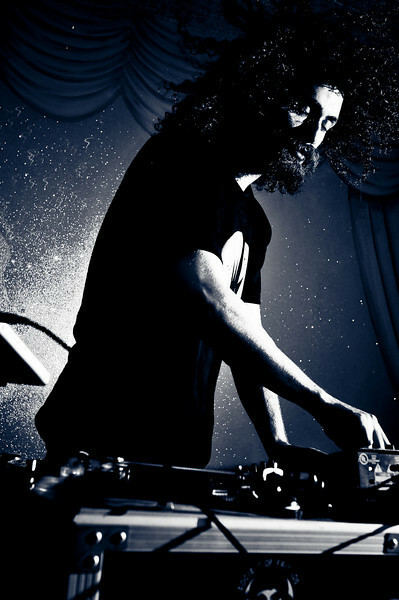 The Gaslamp Killer is a Los Angeles-based DJ whose eclectic style ranges from psychedelia and world music to dubstep and left-field hip-hop. Associated with Flying Lotus’ Brainfeeder Records, he made his production debut in the late 2000s with a series of EPs. Born William Benjamin Bensussen, he originally comes from San Diego, CA, whose downtown Gaslamp District’s bar scene inspired him to name himself the Gaslamp Killer in disgust for much of the patronage. Upon relocating to Los Angeles, he found a niche for himself amid the city’s massive underground party scene and ultimately found a home for himself as a resident DJ at the club Low End Theory, which resulted in a series of club-sponsored podcasts. He also released a series of mix CDs, among them Gaslamp Killers (2007), It’s a Rocky Road (2007), I Spit on Your Grave (2008), Hell and the Lake of Fire Are Waiting for You! (2009), and All Killer (2009), the latter a label showcase for the London-based world psychedelia imprint Finders Keepers Records. As a producer, the Gaslamp Killer made his debut in the late 2000s, releasing, for instance, a split single with Free the Robots, “The Killer Robots,” on Obey Records in 2008 and an EP, My Troubled Mind, on Flying Lotus’ Brainfeeder Records in 2009.